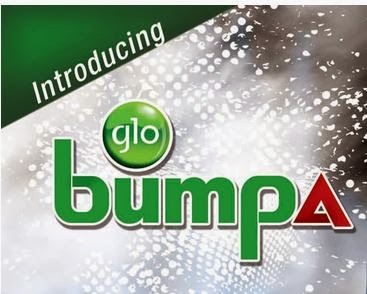 Many weeks ago i shared on this site Full details of the New Glo Bumpa tarrif Plan that Gives 200% Bonus but since then, a lot of people have been asking me about how they can check their bonus on this Glo Bumpa tariff plan. Now here's the solution. Simply dial #122*2# and press SEND. You should get a reply immediately. NB: You won't miss out on our future updates if you subscribe with your email address, follow us on twitter or like our facebook page. Let's have your views and opinions, use the comment box below this page and share this post as well. How do I opt out from the glo bumpa tariff plan? Just find out the activation code for the new tariff plan you want to migrate to, dial the code and you will be automatically removed from Glo bumpa. Hello, is there a configuration to enable browsing with the glo bumpa bonus? Thanks. Pls help. I have N3, 250 in my bumoa bonua account yet I cant browse. I get the message that i need to recharge my account. How do I get the bumpa credit do my browsing since my main account is zero? Pls help!!!!! You can't browse with bonus credit but if you have bonus data, you should use the gloflat settings to connect. Pls help,,,,I bought a new glo Sim and anytime I recharge, I am given free 58mb.but I can't use it...I have recharged up to 5 times since then and its been accumulating... What should I do? To use the accumulated data, you should send PAYG to 127 and make sure you are using the correct gloflat settings.